At the exception of two very old vines (used for our massal selections), most of these vineyards were planted in the early 1990s in the Herrenweg area in Turckheim, mostly in the light gravelly/sandy part. These are extremely precocious vineyards, often first grapes to be harvested on our estate. In 2016 it was an easy task as the ripeness progressed slowly. Of all our vineyards, this is the one we have to watch the most in order to avoid unnecessary ripeness that could lead to a richer/sweeter style. The grapes were in beautiful condition and a healthy presence of natural yeast allowed for a quick fermentation leaving no sugar in the wine. 9/2017: bright yellow colour. The nose is showing ripe honeyed, slightly toasted aromatics. One could almost feel that this wine saw some fresh oak, but no, it spent 12 months in classic old foudres. The palate is velvety, elegant, almost soft, yet finishing very dry. 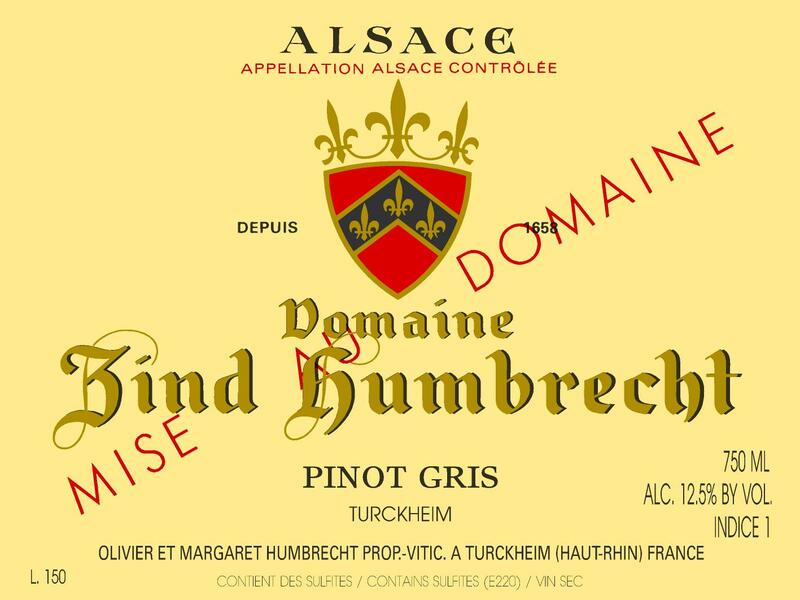 It is actually rare to be able to make such delicate style of Pinot-Gris that still have such aromatic presence. There is a slight presence of skin tannins that add to the structure without creating any difficulty to enjoy this wine now. Extremely food friendly and drinkable right now!